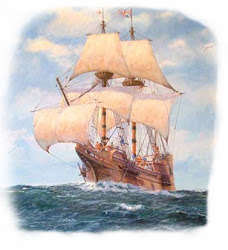 Mayflower Brothers: Conservative Help Needed in the Swing State of North Carolina! Conservative Help Needed in the Swing State of North Carolina! Tonight on Breaking it Down with DT we interviewed Ilario Pantano, former Marine, author of "Warlord, Broken by War, Saved by Grace" and current congressional candidate in the 7th district of North Carolina! As Ilario explains, the 7th district has been a democrat stronghold since the civil war but thanks to redistricting should become a republican seat this year. We need strong conservative candidates in the state where they are holding the DNC National Convention this year. The 15 electoral votes in this toss up state need to go Republican and the best way to help that is to have true conservatives we can support on the ballot! If you missed the show tonight you have to hear the fire and passion from Ilario here or by clicking on the player on the right of our blog! You can find more information about Ilario Pantano at his website or at his campaign website. Ilario was a marine that was attacked by the politically correct left and accused of murdering insurgents in the Al Anbar province. He details in his book the struggles he went through and how he was ultimately exonerated of these charges. This is a story all conservatives should hear and you can buy a copy of his book here! Ilario also spoke about his strong conservative beliefs and the primary battle he is about to face with David Rouzer, a former lobbyist turned state senator who in the past lobbied for amnesty for illegal aliens! Check out http://www.rouzerforamnesty.com/ to see what Ilario is up against. David Rouzer took money to lobby the US Congress for a bill that would have granted amnesty to over 3.3 million illegal immigrantsWe can't afford for the congress to be filled with RINO's who are willing to support any cause for a dollar bill. We have enough of those and conservatives can't afford any more of them in Washington. In addition to our interview we also talked about the progressive Newt Gingrich who thinks he knows better how to provide for your health care then you do and feels government regulations are a necessary part of our lives. And finally we discussed the difference between republicans and conservatives and some of the money we could stop spending and let the states keep to perform the job more effectively. How Do Innocent Men Protect Themselves?